There are many things you may want to outsource for. You can use outsourcing for getting your mobile website design, for mobile website development, and for creating your mobile website. It’s a one stop shop. You’re able to find the most qualified people to work on your projects without the fear of being taken advantage of. You’re able to view all of the ratings of the person that you are looking at hiring for your project. You’ll be able to choose the right individual by checking all of their information and their qualifications. You can even request samples of their work before hiring them, to ensure they’re going to be able to provide you with the work that you desire. You can outsource for your mobile website developer and set the time frames for the project to be completed. You are able to choose the price and have people bid on that and offer you the greatest speed and quality. Outsourcing your mobile design is a great way to get lots of designs for a low cost, and choosing the one that works best for you! 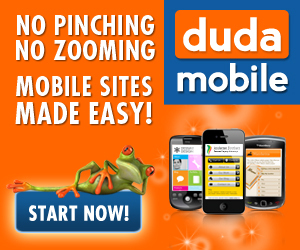 A mobile website designer may be expensive to find in your own town. A mobile website designer may be expensive to find online, but if you’re using an outsourcing company, you’re able to find a mobile website designer at a price that will make you happy. Elance is an awesome outsourcing company. You can go to Elance and see all of the jobs that are posted that look like jobs you need done; and view the payments on those projects. These are some of the cheapest rates that you are going to find. You can also use Odesk to find trustworthy freelancers for your projects. With all of the outsourcing companies you’re going to find on the market today, these are two of the best and most trusted outsourcing companies. If you’re looking for someone to create a mobile website for you, you want to start with these two sites. You’re even able to post jobs for free on sites like these! It’s amazingly useful. Mobile website design may not be your forte, but it is definitely someone’s! If you want to outsource, you want to outsource correctly and successfully. Try these outsourcing companies for your next project. Don’t waste all of your time on mobile website development when you don’t know what you’re doing. You don’t have to spend countless hours learning to use the programs they have with their mobile website builders. You have the ability to outsource someone who will be amazing and who will do an amazing job for you! 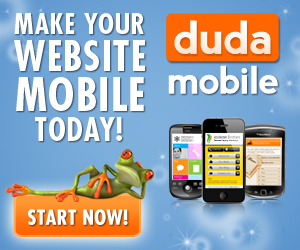 You have nothing to lose by outsourcing for your mobile website design or building your mobile website! You can try it all out for free and you can find the quality freelancers that you’re wanting to work with you on your projects. Go ahead, go to one of the websites and learn more right now. It’s free, it’s fast, and it’s easy. You have no excuse, so go now! Thank you for the information. I was wondering how good are these freelancing sites like odesk and elance? I have heard a lot about such sites but i don’t know if you can get your work really done through these sites. If you want to outsource projects like website design, mobile site design, personal assistant, replying to emails, creating videos, designing logos, building links, etc etc etc… Sites like Odesk and Elace are great ways to get skilled workers at very low rates.